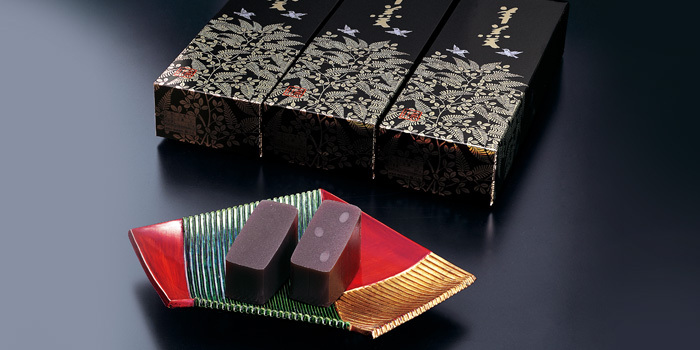 Products | Morihachi Co., Ltd.
Cho-sei-den, a special name for rakugan (packed sugar sweet) has been praised as one of the three most renowned Japanese confectioneries for over 300 years, ever since it was created by the third Kaga lord Toshitsune Maeda, named and autographed by the tea master Enshu Kobori. 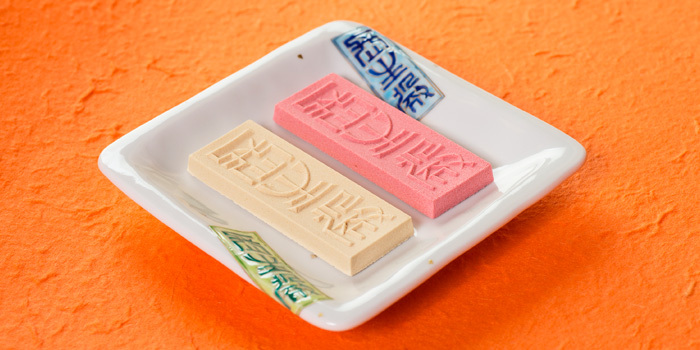 It is still produced following traditional methods, using precious sugar from Tokushima, rice powder from the Hokuriku region, and natural safflower for coloring the red rakugan. 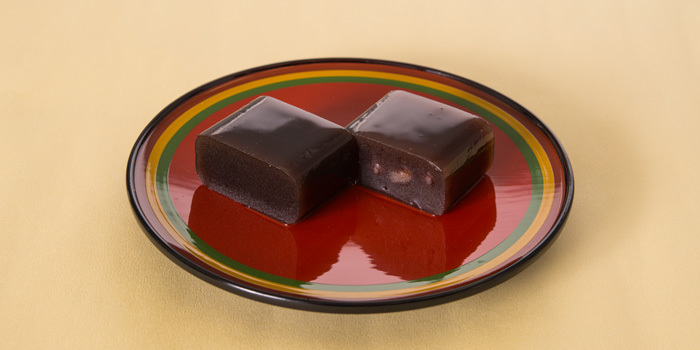 Chitose, which used to be called chitose-zushi, is a classic Japanese confectionery created by followers of the Ikko religion in the 16th century – the time of Osumi Kameda, the founder of Morihachi. 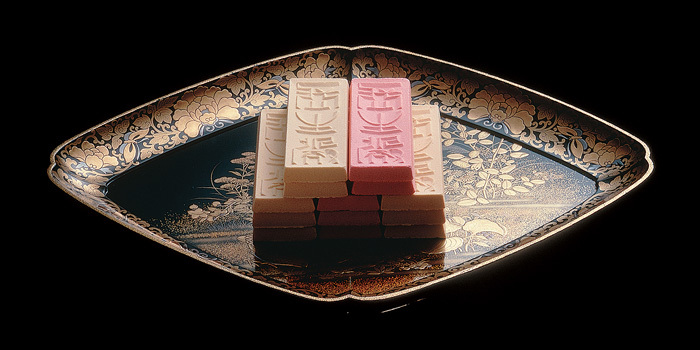 After improvements through the generations, chitose was perfected as a celebratory sweet, where the red represents the rising sun and the white represents the feathers of a crane. 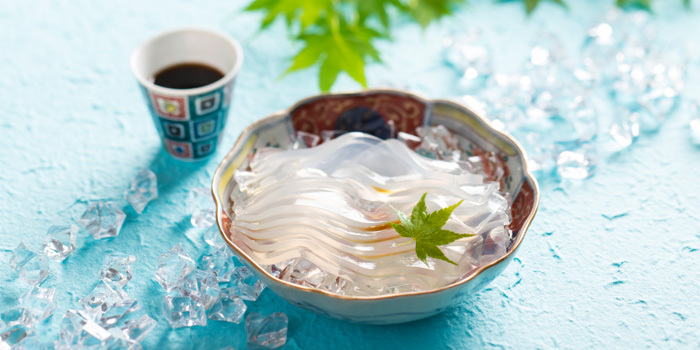 Kuro-yokan (a thick sweetened red bean jelly) was created with a perfect combination of natural spring water and carefully selected ingredients. 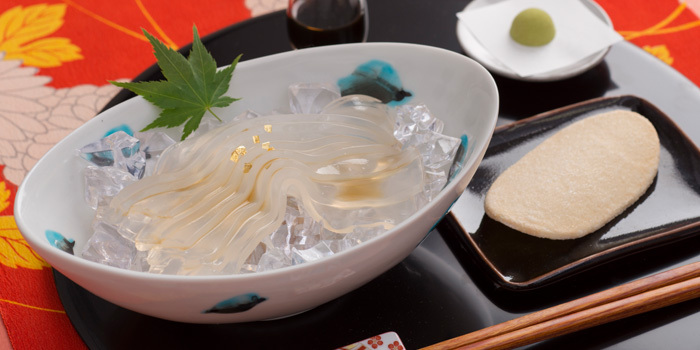 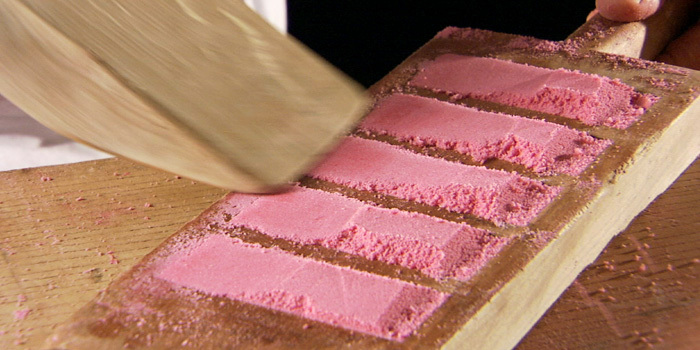 Its glaze has been nobly compared to kurome-zome, a dye technique used for the Kaga clan family crest. 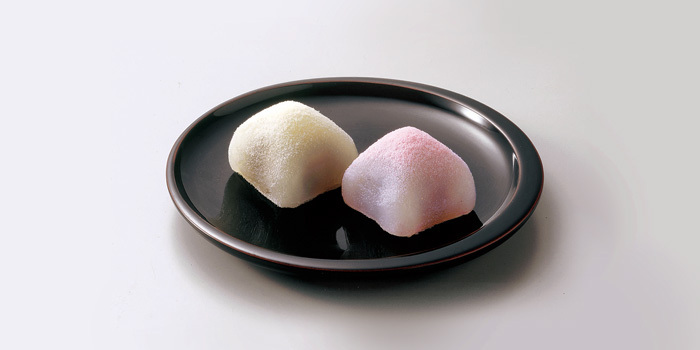 It connects the tradition of Kaga’s yokan production from the past to the future. 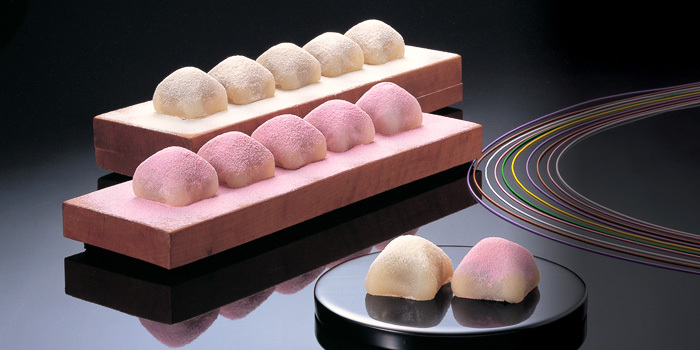 Houdatsu, named after Mt. 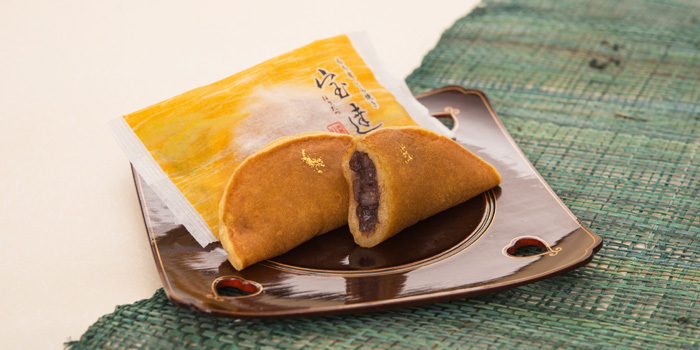 Houdatsu which once prospered as Kaga’s gold mine, has a sophisticated appearance and flavor made from high quality domestic red beans, is wrapped in soft rice pastry, and sprinkled with gold leaf. 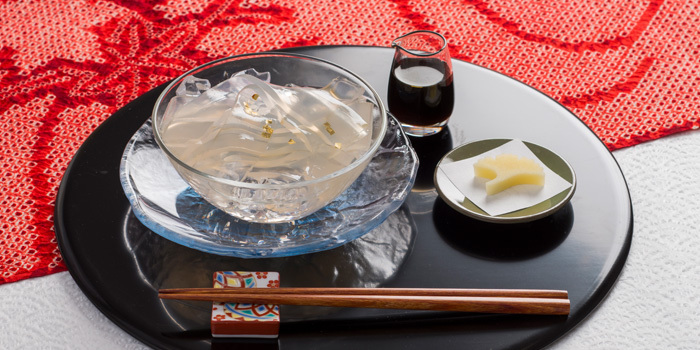 Lavishly using Houdatsu-kuzu (prized arrowroot), supplied exclusively to the Kaga clan for 400 years, Houdatsu-kuzu Kuzukiri is a masterpiece accompanied by the Morihachi family’s proprietary dark syrup past down for generation after generation.